Green Dot, a national program that promotes bystander intervention in the fight against sexual assault and violence on campus, unites the array of other initiatives to address the problem in a way that builds a safe culture by enlisting everyone – staff, faculty and students – to do their part for the cause. 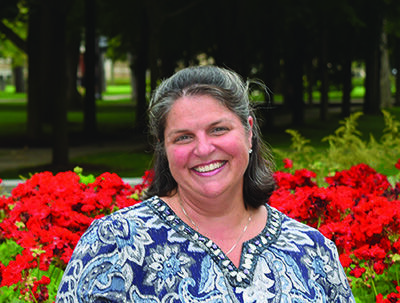 “Everybody has some part in it,” says Christine Caron Gebhardt, co-chair of the Committee on Sexual Assault Prevention (CSAP) and director of the Gender Relations Center. “Nobody has to do everything, but everybody has to do something. It helps people to realize that you have to send a cultural message as a campus that violence is not OK – and that students, faculty and staff are supporting that."